12-13 April, Keent, Oss, and Lage Wijth, Grave, Noord-Brabant, and Loonse Waard, Wijchen, Gelderland, second calendar-year, photographed, videoed (J J F J Jansen, T Janssen, F Coenraadts et al; Jansen et al 2012; Birding World 25: 142, 2012, Dutch Birding 34: 210, plate 290, 2012). 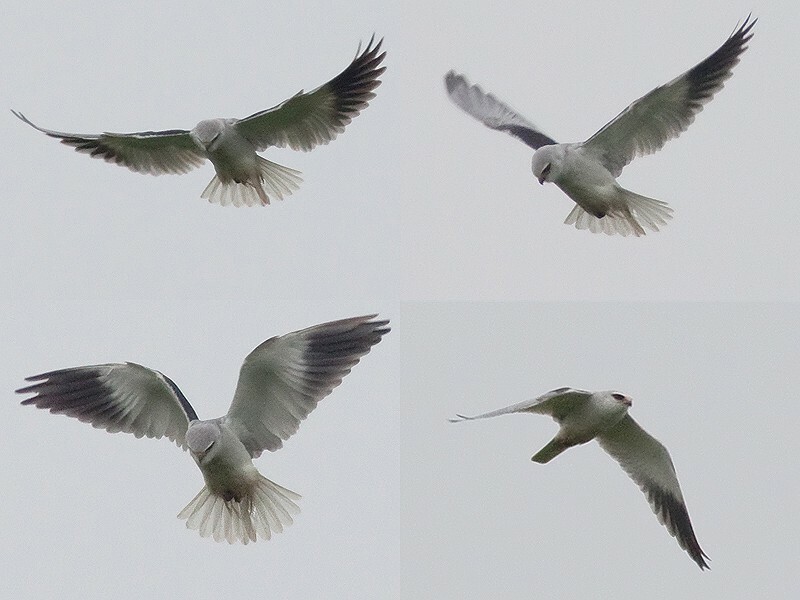 The previous twitchable Black-winged Kite stayed from 4 June to 23 August 2000 at Bargerveen, Drenthe, so this year's two were widely appreciated. Unlike a bird briefly present at Alblasserwaard, Zuid-Holland, in May 2009 and one flying over Nijmegen, Gelderland, in April 2010, both 2012 birds stayed long enough to be admired by many birders.